FRGCB - Finnish Retro Game Comparison Blog: Return of the son of more heaps of UPDATES strikes back with a vengeance! On the 29th of July, 2014, Galahad/FLT released the finished Amiga conversion (v1.0) of the isometric Spectrum classic adventure, Where Time Stood Still. The game's download link can be found at the English Amiga Board's thread for the conversion, if you want to take a look at it. The conversion was built to compliment the Atari ST version, and for the most part, it does look and play exactly like the Atari game. In fact, it IS the Atari ST game running on Amiga, only some ST routines needed to be recoded to get the game running on an Amiga. However, some of the participants decided to go one-up with their jobs, and improved on the Atari version - for instance, the mouse control was taken away to keep from interfering with the game, and the music was remixed to make it sound more 16-bit and atmospheric. Something else got added into the mix, that hadn't been done before, at least in a digital format. 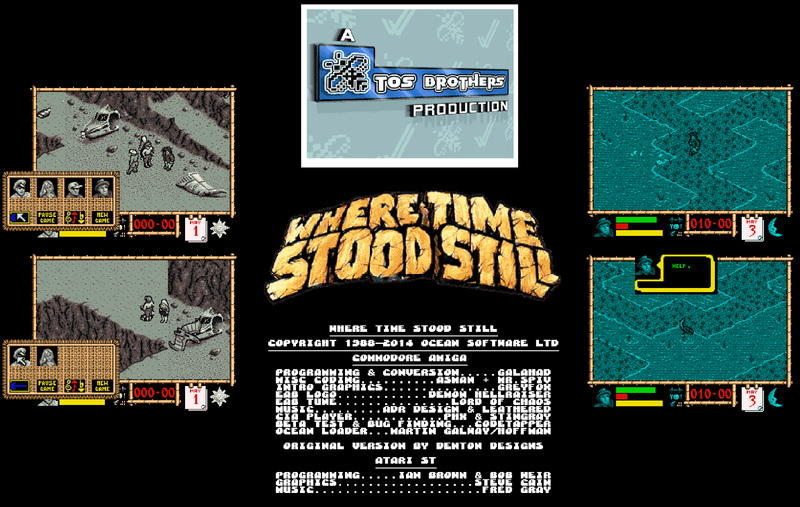 The comic strip screens from the original WTSS advertisement have now been digitised to be flipped through before the main title screen is loaded. Also, for the main game loading bit, the EAB team has included a nice rendition of the third Ocean Loader tune by Hoffman, originally made for the C64 by Peter Clarke, adding a nice touch of extra nostalgia, as if the game itself wasn't enough. All the intro bits do take some immediacy away from the Atari version (although you can skip it if you like), but considering the lack of an official package and all the potential paraphernalia within it, it'll make do just fine. There are some other bonus features in the conversion that combined the memory requirements to 1 MB, but otherwise, the game will run on an A500. All things considered, I think the Amiga version is an improvement over the ST version in as many ways as it could have been. Is it as impressive as the Spectrum original, though? Of course not, but it does work just as nicely, as far as I'm able to tell, and the music sounds better. Honestly, this is the version I would most likely play, if I ever were to play it. This one was a curiously troublesome updateable. By chance, I came across Arcadia's MobyGames entry long after I had written my original comparison, and found out that a version of it was released for the Dragon 32/64 computer. Since I had never before had to use a Dragon 32/64 emulator, I needed to find a suitably working one. from Dragon 32 version of Arcadia. Eventually, I found an emulator called XROAR for my 32-bit Windows 7, which worked nicely, and I even managed to get some games to load up. My luck wasn't so good as to allow me to get Arcadia to load up on the XROAR Dragon emulator (I could get as far as get the text "Arcadia is loading, leave tape running", before it crashed, or at least paused for eternity), so I gave up and dug up some videos and screenshots from the internet. The colour scheme here is very different to all the other versions, but I do like the loading screen quite a bit more than on any of the other versions before. From what I could tell of this video by Steve Benway, the gameplay is similar enough to the original, if a bit faster, but having a sub-par joystick can do unwanted wonders to the playability. The Dragon version's sounds are really good compared to all the others, but I wouldn't say they could still be called anything spectacular. So, all in all, the jury is still very much out on that one. Because of these "late update"-type situations have arisen lately more than ever, I have had to start browsing through every possible website I can think of regarding any specific retro computers and consoles, because Wikipedia and MobyGames don't always necessarily list all the platforms that some games have been released on. And in cases such as this, released with a different name. For some reason, Arcadia never got released for the Acorn BBC Micro, although it certainly was converted for it. The Stairway to Hell website had the unreleased BBC Arcadia on its "Lost+Found" section, with some additional information on a slightly modified Electron version of the game released as WetZone by Tynesoft. The original, unreleased BBC conversion of Arcadia is one of the most playable versions of the game, as it suffers from just about the same amount of flickering as the original, if not slightly less. All the gameplay quirks seem to be in place as far as I am able to tell, but it does feel a bit quicker than the Spectrum game, so I'm guessing it's very similar to the Dragon conversion in essentials. It even sounds very much the same as the Dragon version. Tynesoft's WetZone on the Electron does look to be exactly the same game as BBC's Arcadia, apart from a few graphical modifications and some keyboard layout readjustments. The biggest difference, however, is the hardware the game is played on, which makes everything slow down more drastically the more there is action on the screen at any time. Therefore, it's not one of the more playable versions of the game. Before I update the original entry with this information, I'm going to have to test the Dragon version properly, if I ever can. If I haven't been able to do so before the end of this year, I will do the entry update with the current information. Since having written my original Road Fighter comparison, and even more recently having decided to include unofficial conversions into the comparisons (if possible), some of you might have noticed that Road Hunter was released for the TI-99/4a by Rasmus Moustgaard in February 2014. Now, strictly speaking, this game is NOT a pure Road Fighter conversion, although it very much looks like one at first glance. I'm just making a sort of a public service announcement here. It's more like a cross between Road Fighter and Spy Hunter (racing through stages while shooting at your competitors) - hence the name. Of course, you couldn't tell it was such solely from the title, and because people have a tendency to depend on screenshots more than the accompanying text, even having a fairly well written description at TI Game Shelf might not be warning enough to tell you that this game is neither of those two games, and both of them at the same time. It's rather brilliant, actually, once you get over the fact, and I do highly recommend it. In fact, I think it's easily one of the best games I've played on the TI-99 yet. For quite a long time, the Atarists of the world had to make do with Thomas Hertzler's official ST conversion with its very uncomfortable scrolling method, which would move the screen in 128-pixel steps. In April of this year, an Atari-Forum user by the name of Zamuel_a told of his new, enhanced STE conversion being made, and at the time of his original post there, he had already made it as far as to release the first version then. As he explains in his original post at the forum, his changes to the original code made it a bit memory consuming (due to reasons best read from his own description), so you will need to run the game on a 2MB machine. Since I'm not a member of Atari-Forum yet, I dug up a version of this new conversion elsewhere, and so I have no idea if it's the most recent one available. I made a quick comparison of the version I found to the original ST conversion, and I found there to be surprisingly many differences. The scrolling is now what it was supposed to be in the first place, and the sounds are a bit closer to what they are on the Amiga, although that bit can be argued whether it's a good thing or not. Personally, I prefer the ST soundtrack over the Amiga's, but it's nice to hear the Amiga sound effects implemented here alongside the ST music. Zamuel has also added parallax-scrolling clouds to the sky, which is a nice touch. Even the title screen is now readable due to a slower scrolling speed. I didn't come across any bugs in my quick run, so, all in all, I believe it's very much a job well done. The only thing I'm not completely comfortable with is the change to the jump mechanics: when you let go of the jump, the fall is more instantaneous and sharp in this one. Having gotten so used to the original, I'm not sure if this helps at all in any places in the game, but it might have a point. All things considered, I do believe this version surpasses the Amiga version by a small margin, but the jump mechanic change feels a bit iffy. The original Space Taxi was featured on one of the Unique Games entries, and just a couple of weeks ago, I went through the entire archive of the Plus/4 World website to see if I had missed any C16 or Plus/4 games and conversions due to limited information on the major source websites. So eventually I found the C16 conversion of Space Taxi, which understandably is quite far from the original, but for this, the original Unique Games entry will need to be corrected of the misinformation that the game doesn't exist on any other retro computer than the C64. I'm almost 100% positive that this conversion wasn't authorized, but who knows. 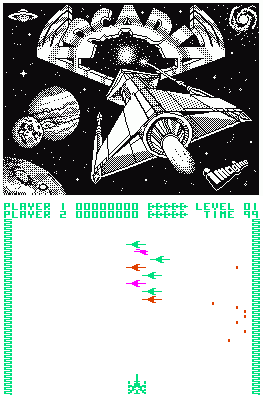 Space Taxi for the Commodore 16 was written by Schneider Soft and released as freeware in 1987. From what I can tell, the basic idea is the same as in the original, but the execution is severely lacking - mostly because I couldn't even get to play the damn thing due to impossible controls on the emulator. (The third picture is ripped from the Plus/4 World page, sorry about that.) The game is supposed to start by pressing the fire button from the joystick in port 1, but all I got was resetting of the title screen scroller text. I suppose I would have to try it out on a real C16 to get it working, but I have no such luxury. All I could get was a few game screens to show from pressing keys from 1 to 5 in the title screen. As such, I couldn't recommend it to anyone, really, unless you REALLY knew what you were doing. Thankfully, I don't need to make a comparison of this one. For this update, I've got three versions of Commando that need to be added to the original entry, one of which didn't even exist at the time of writing it. I'm sure most of you are already aware of team Nostalgia's epic Commando upgrade for the Commodore 64, but in case some of you haven't heard of it, I'll make a quick review of it. Screenshots from the 2014 Commodore 64 remake of Commando. Released as Commando Arcade, the upgraded edition of the old game might as well be called a new version of the game, since there is so much new code, and much of the old code has been bugfixed. 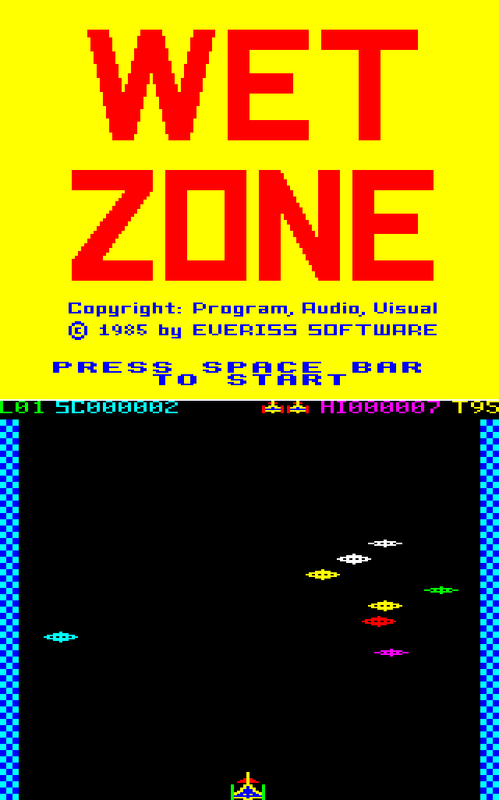 The major improvements include the rest of the 8 levels; a new demo-grade sprite multiplexer (which allows completely flicker-free sprites on screen); new scroller code for more raster time and full 60 frames per second for the entire game; the helicopter bits; enhanced level completion screens; a new game over sequence; new alternative soundtrack and so on and so forth. Because of the amount of additional data, the game is now a multiloader, but it has also been released on an EasyFlash cartridge image, so the gameplay experience will be as instantaneous as you want it to be. Very highly recommended, and I can easily say it's currently my favourite version of the game. Back when I did the original comparison, my policy was not to include any unofficial conversions, so I skipped the COMMODORE PLUS/4 version. I might as well mention it now, since I forgot it in my last big update. Tamás Sasvari made the conversion for Plus/4 in 1992 with the main focus on getting all the levels into the game. Sure enough, you get eight levels to rush through, but some things were unfortunately lost in translation, such as grenades, prisoners, end-level "boss fights" and any sort of chance for planning. The enemies seems to come on screen with autofire on and sometimes in hordes which you can't possibly escape. My favourite bug in the conversion is that sometimes, when you die after having spawned quite far into the level, you might start from an earlier spawnpoint, if you haven't made any progress at all from the current spawnpoint. The Plus/4 graphics are ported pretty much straight from the C64 version, and even the music is as close to the Rob Hubbard tune as possible. I honestly cannot believe Hubbard was at all involved in the conversion, although his name reads on the title screen. Whatever. Anyway, it's yet another subpar version of the game, even if it's quite a bit more enjoyable than the C16 version. Last, but perhaps not quite the least, I came across an Hungarian computer called VIDEOTON TVC a couple of months ago. I had never heard of this machine before, so I went digging a bit further and found out that Commando had been converted for it amongst other classic titles. I suppose this one wasn't a very official conversion either. Berysoft released their Commando "conversion" for the TVC in 1989, probably in Hungary only, basing my suspicions on the fact that the game is in Hungarian. Since I don't understand Hungarian, I have no idea what all the options are supposed to do that greet you on the title screen, but it looks interesting. The game isn't much different from the C16 version of Commando in that all the areas are single screens. Your mission is to kill 50 enemy soldiers before you can proceed to the next screen. 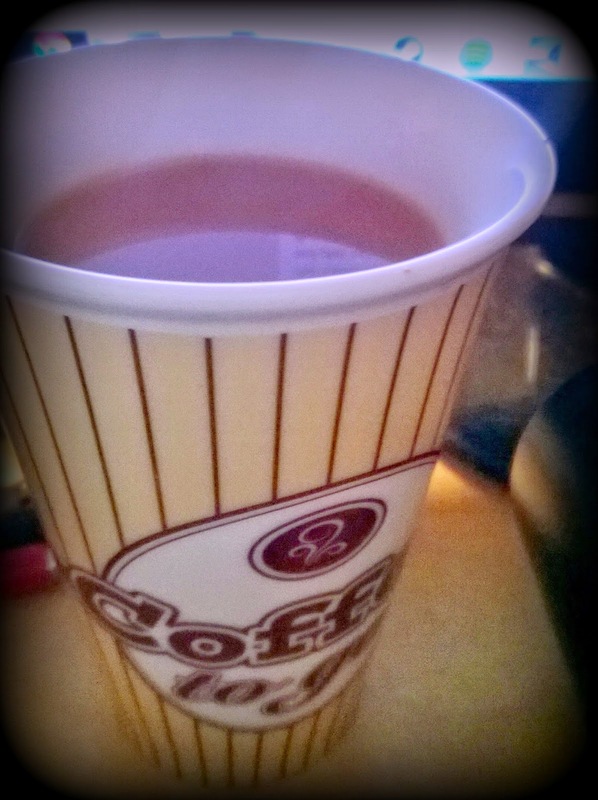 The graphics are nicer than I thought they would be, but not exactly impressive. The music is nothing like any of the theme tunes you would hear in any other version of Commando, and is played from a similar device to a PC speaker, so it's not a particularly pleasurable experience. So, that's it for now. 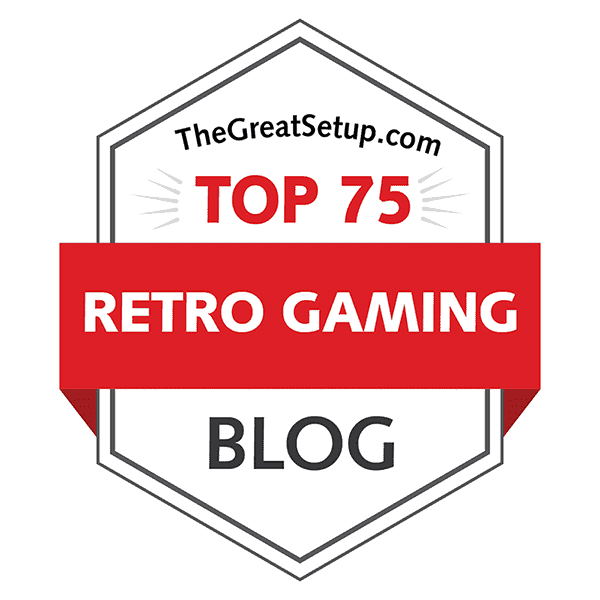 I'm well aware that there are still some entries on my blog that need updating, such as WINTER GAMES and JET PAC, but I'm currently unable to do much about them. I'm still hoping for someone to show me an easier way to get Winter Games to work on a Macintosh emulator, or perhaps build a better and more accessible emulator. As for Jet Pac, the only thing I'm aware of that requires another look is the so far unreleased enhanced version of Rocket Smash for the C64, so I'm waiting for that one. And when that comes, I'll update the January update entry in which the game was originally mentioned. Sure, there is now available a Jet Pac emulator for the Amstrad CPC (as pictured here), which can play the original Spectrum version of it, but other than the Amstrad having now an ability to play it and having a bit strange colours, this brings nothing actually new to the table. If I have missed some other information that should be mentioned, please leave a comment here or on any of the game comparison entries that require some updating. For now, thanks for reading and giving all the help where necessary. Very interesting as usual. With your blog i have discovered this new version of Commando and i'm playing with it.